HAES Australia is opposed to the ‘Fast Track to Health’ Study (Fast Track). Fast Track is a multi-centre randomised controlled trial of two weight-loss interventions that aims to reduce the risk factors for heart disease and diabetes. The claim that reducing adult risk factors for chronic disease during adolescence reduces the risk of developing chronic disease in later life is not supported by evidence. However, dieting in adolescence has been shown to be a risk factor for physical and mental harm in adolescence and adulthood. These children will still be expected to go to school, learn, play sport and develop physically and socially while under nourished. Fast Track is currently recruiting 186 children aged 13-17 years from locations with lower socioeconomic status in Sydney and Melbourne. Participants selected for the trial will be children who live in larger bodies – young people who may already experience daily stigma and discrimination based on their body size. These children will be enrolled in a year-long program where, for the first month, all children will be placed on a very low energy diet (VLED). Following this, the children will be randomised into two groups: one group will be given a reduced energy meal plan, and the other will be required to undergo intermittent fasting three days a week, where on alternate days they eat far less than their usual energy requirements. HAES Australia shares the view of the Australia and New Zealand Academy for Eating Disorders that the daily energy intake and the pattern of energy intake prescribed in the Fast Track study are much too low for growing adolescents. Fast Track falsely equates weight with health – it argues that if a child in a larger body loses weight, this will make them healthier and reduce their risk of heart disease and diabetes. While there are established risk factors for chronic disease in adults, it is inappropriate to apply these to an adolescent population. Furthermore, it has not been established whether reducing weight during adolescence has any impact on chronic disease risk in the following decades. In contrast, there is clear evidence that extreme caloric restriction affects bone density and is associated with increased long-term risk of conditions including eating disorders, body image disturbance and depression. Research evidence has shown that dieting is ineffective for most and potentially harmful for people of all ages. Clinical guidelines state that the majority of people who lose weight through lifestyle interventions (diet and exercise) will regain all weight lost within 2-5 years due to physiological changes that occur in response to weight loss and not return to prior lifestyle habits (NHMRC, 2013). Furthermore, there are independent risks associated with weight cycling (‘yo-yo’ dieting) including increased risks of diabetes and heart disease. Moreover, dieting is known to carry significant risks to mental health: it is the single greatest contributing factor to the development of eating disorders. Eating disorders have the highest mortality rate (including suicide rate) of all mental health disorders. Eating disorders affect 1 million Australians, and that number is growing. Weight stigma refers to the negative social consequences of weight bias in medical and healthcare settings, and in general society. The assumption that it is possible for individuals to control their weight perpetuates weight stigma. Experiencing weight stigma is associated with diminished sense of self-worth, shame, missed or delayed diagnosis of serious illness, depression and anxiety. The Fast Track study will communicate to children that the bodies of larger people are objects of concern and that their bodies are ‘wrong’ and need to be ‘fixed’. Weight stigma is a social justice issue. To improve the health of adolescents with larger bodies, efforts must be directed towards changing social and cultural attitudes to recognise body diversity. HAES Australia has significant concerns regarding the ethics of the Fast Track study. All human research requires consideration of the risks and benefits, which must be communicated to potential participants to ensure they can give informed consent. Children and adolescents are recognised as a particularly vulnerable population in the National Statement on Ethical Conduct in Human Research. Best practice guidelines for research with children state that researchers consider as widely as possible the harms and benefits for children, their families and the broader community. While the Sydney Children’s Hospitals Network has acknowledged some risks for individual children, following a complaint and pressure from the eating disorders sector, it has not considered risks to the broader community in exposing family members and classmates to behaviours that would otherwise be described as disordered. HAES Australia shares the Royal Australian College of Physicians’ (RACP) position that it is unacceptable for experiments to be conducted with children and adolescents if they have not first been conducted in adults. To date, intermittent fasting and restricted energy diets have not been found to be successful in adults. To enhance adolescent’s growth, development, and long-term health, young people and their families must be supported to find enjoyable ways to move and affordable ways to nourish their bodies that promote health without reference to weight. This approach has been shown to increase engagement in health promoting behaviours and produce positive outcomes on biochemical measures and psychometric factors. The RACP and RACGP also now recommend a ‘health gain’ instead of ‘weight loss’ approach when providing health services to larger-bodied people. Given that safe options to support children’s health exist, HAES Australia calls for the Fast Track trial to be withdrawn and has endorsed a complaint to the Sydney Children's Hospitals Network Human Research Ethics Committee. HAES Australia is the representative body for health and fitness professionals, researchers and academics who work from a Health at Every Size® approach or paradigm. The work of HAES Australia and its members is underpinned by an evidence-based, weight-neutral, size inclusive, and body positive perspective. 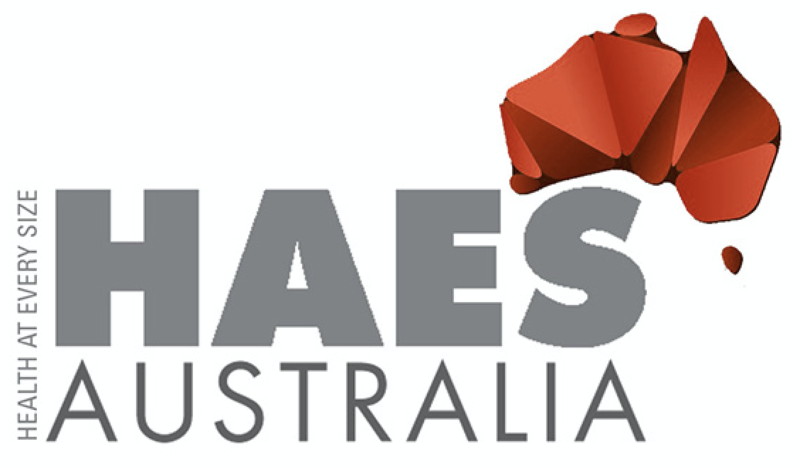 HAES Australia Inc is happy to talk with members of the media and respond to current events. Please contact the Secretary, Mandy-Lee Noble by emailing HAESAustralia@gmail.com who will then direct you to the most appropriate member of our expert advisory committee to respond to your enquiry.